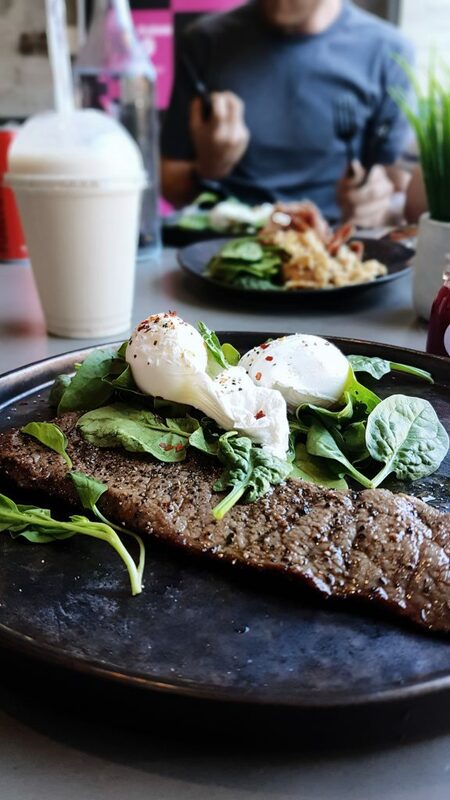 If you follow me on social you’ll know I’m a big fan of food, more so I’m a BIG fan of brunch. 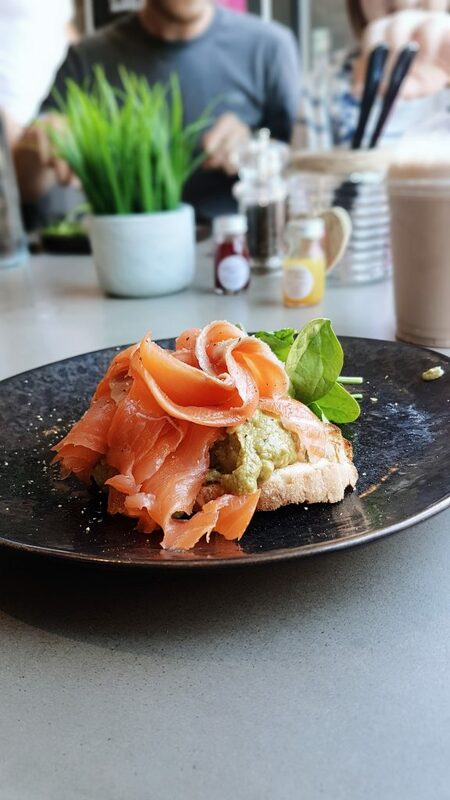 I’m part of the Official Brunch Club (@officialbrunchclub on Instagram if you want to know more) and thoroughly enjoy trying out different brunch spots across Manchester in my spare time. Please excuse my moon head and the most unflattering angle ever. It was the only way I could get a picture of the four of us! Freya is to my right btw. 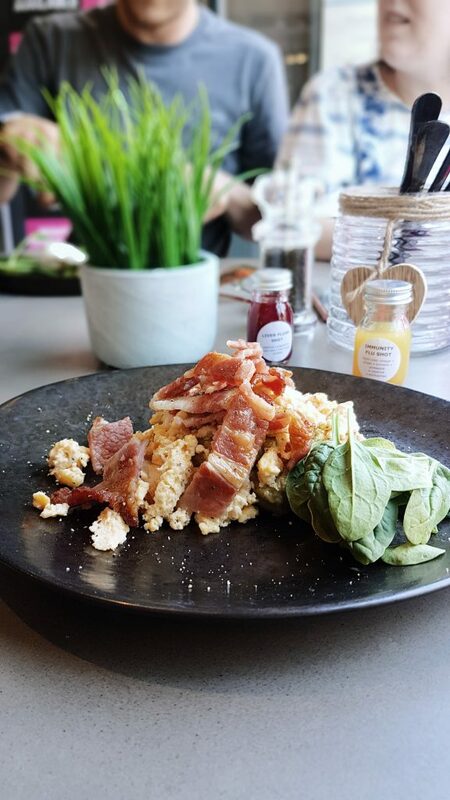 This weekend, I was invited to a bloggers brunch at Neon Health Kitchen in Wilmslow to try out their new brunch menu. Myself, Chris, my sister – Olivia, my niece – Freya, and my brother in law – Fabz (the usual fam squad) went along on Saturday morning. 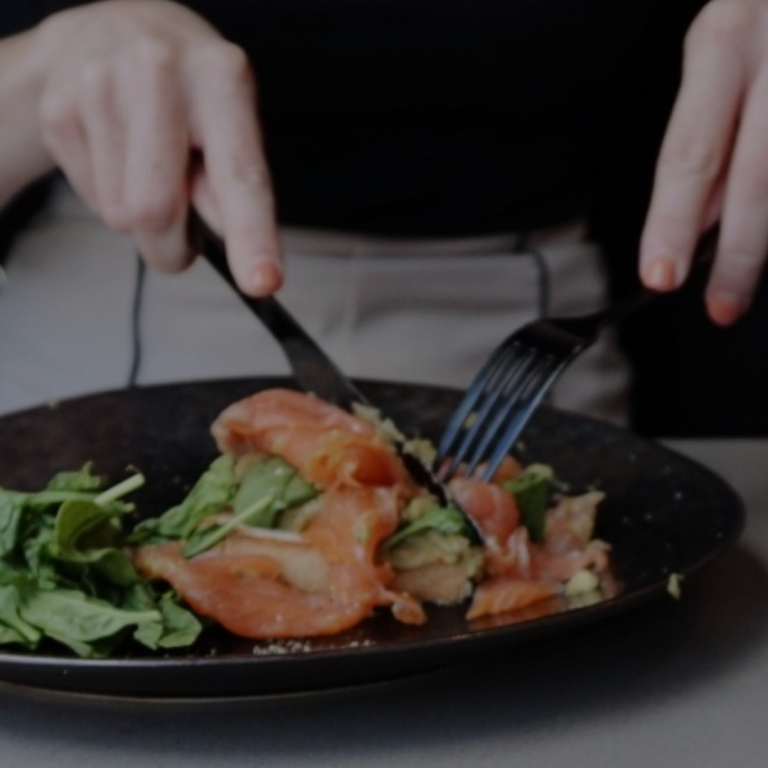 The restaurant is situated on one of the main streets in Wilmslow, next to Sweaty Betty and just a bit further on from the Aston Martin garage. so it was surprisingly and thankfully, easy to find! 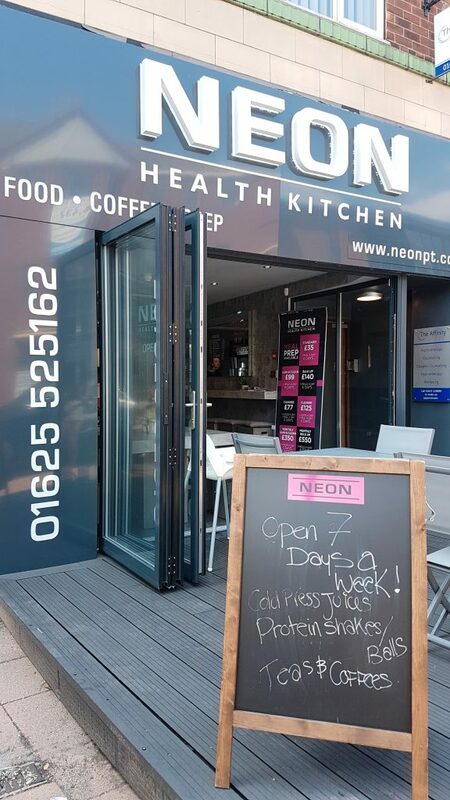 I don’t know if you have ever come across Neon PT owned by former footballer, Joe Sealey at all but the two are sister companies and you can tell as soon as you walk into the Health Kitchen. The colour scheme is the signature grey & pink with an interior designeresque feel to it. 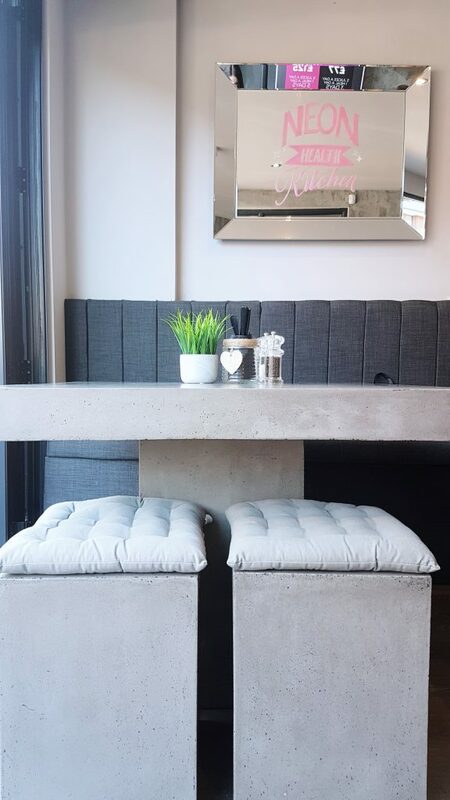 There were mirrors on the walls with writing on, one being the drinks menu, signature pink chairs in the back, heavy grey concrete style tables and stools and stunning bifolding doors which opened up to a grey patio area – perfect for the stunning weather we have been having. We got ourselves seated and started with a round of drinks whilst we got settled and had a bit of a catch up – there’s a lot that happens in my sister life that I miss now we don’t live next door to each other and guys, how fast do kids grow?! 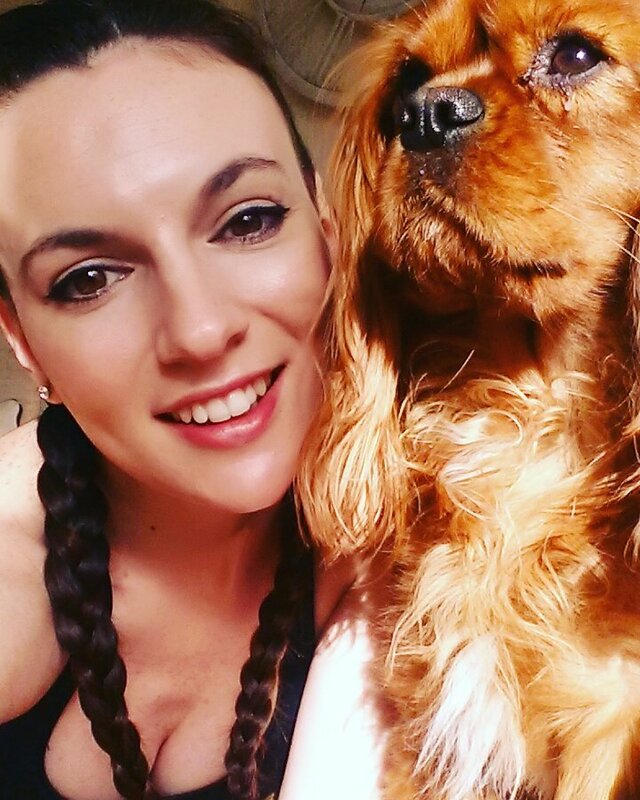 Every time I see my niece Freya I’m just in awe at how much she is changing and how intelligent she is! So we caught up over Lattes, normal for the boys and Matcha for myself. As ever, when you’re catching up or your in Wilmslow and the boys are distracted by basically every single car that drives past it took quite a while for us to actually get to looking at the menu. Being a health kitchen, I wasn’t really too sure what to expect from the menu but I was hoping it wouldn’t be too generic. Obviously, I was fully expecting avo-toast because is it really a brunch menu without it? Though there wasn’t a massive amount of dishes to choose from there were still plenty. From overnight oats with almond milk, breakfast wraps, and eggs served in various forms – there is something for everyone on the menu. 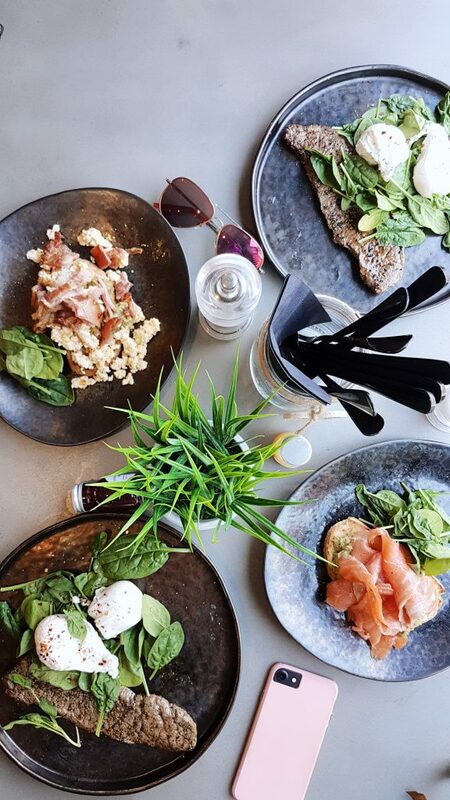 We finally ordered – The boys chose Steak & Eggs, Olivia opted for Scrambled Eggs on Sourdough Toast with a side of Bacon and I, in true millennial fashion, settled on the Avocado Smash with Smoked Salmon. Freya was going to have a bit from everyone’s plate along with her seeds and raisins – she had already eaten before coming out although she did take a healthy amount of her dads steak! 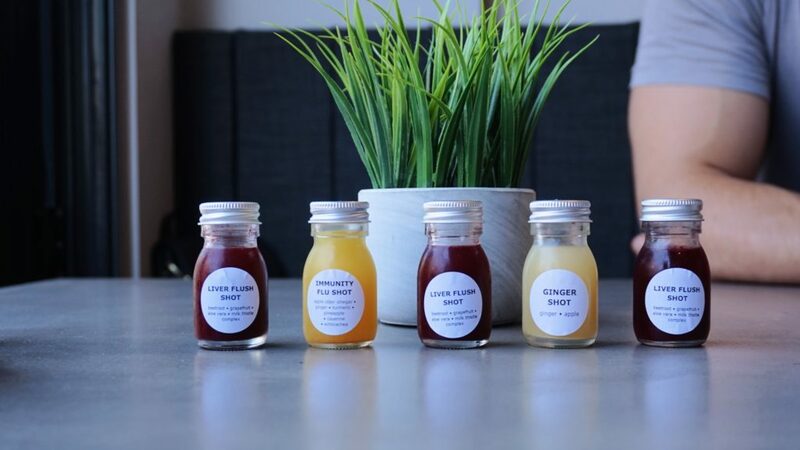 I’m not going to spoil it and tell you what these were like but if you go to Neon Health Kitchen you HAVE to try them and report back to me what you think. We each had a bit of each shot. Freya felt left out though so Olivia filled one of the shot bottles with water and Freya was knocking them back like tequila slammers! 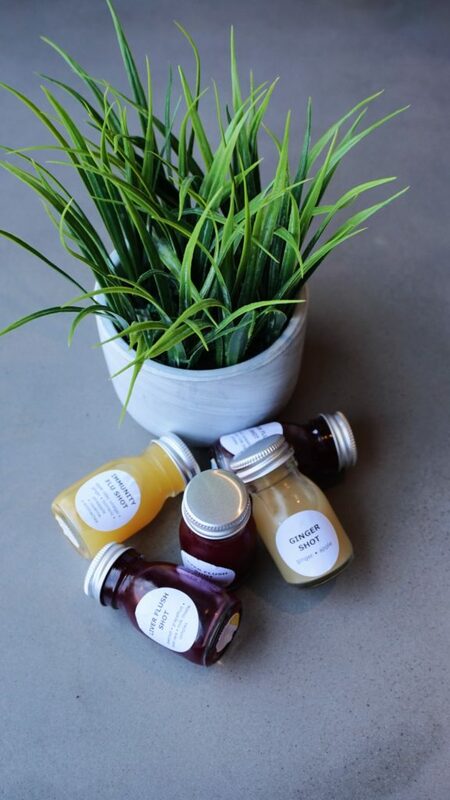 So much so that the owner of the health kitchen actually told Olivia she could take one of the bottles for Freya. To which Olivia was actually very grateful because she was already dreading having to prize the bottle from Freya when it was time for us to leave. 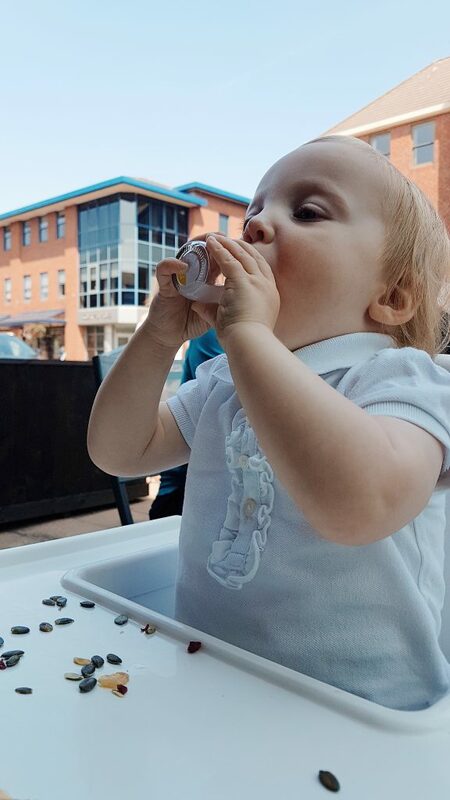 Freya had some of her dad’s smoothie in this one – Don’t worry we didn’t get the baby any of the shots! 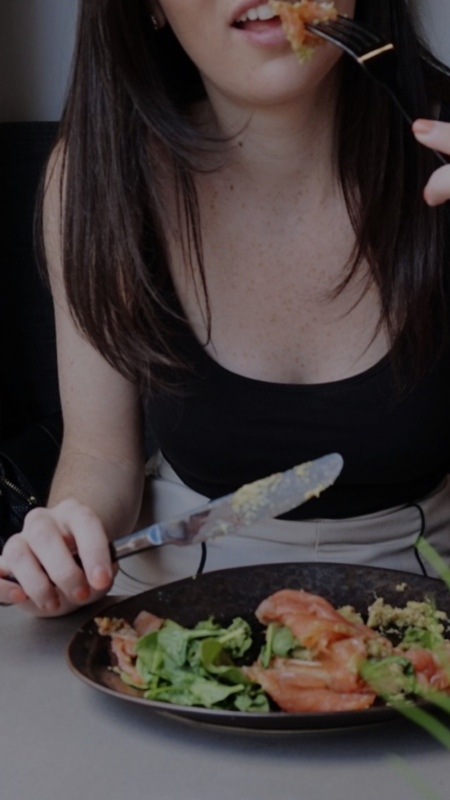 The food arrived and it looked & smelled amazing and I had to give a real fast reminder that the camera was to eat first – can’t very well tell you how amazing the food was with no photographic evidence now can I?! I didn’t realise before ordering that the avocado smash contained chillies. Thankfully, I have been trying to incorporate a bit more heat into my food so it was a welcomed surprise. Chilli’s are really good for the heart and blood circulation. 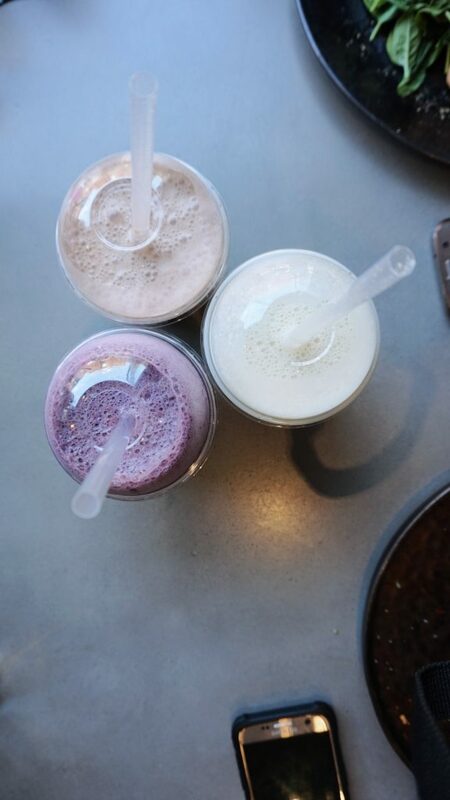 We finished eating and ordered a round of shakes – Berry Blast (strawberries, blueberries, blackberries, raspberries and coconut water) for Fabz, Protein Power (vanilla protein, almond butter, banana and almond milk) for Chris obviously and Night Night (almond milk, cacoa and chocolate protein powder) for me! They were all delicious. I’m always really iffy with protein shakes especially when we are getting them from a bar because they are usually really thick and really powdery but these were perfectly blended and perfectly drinkable. My only criticism is that they could have been served in a glass rather than a plastic cup, would definitely be more environmentally friendly and the plastic cups and straws weren’t really necessary. 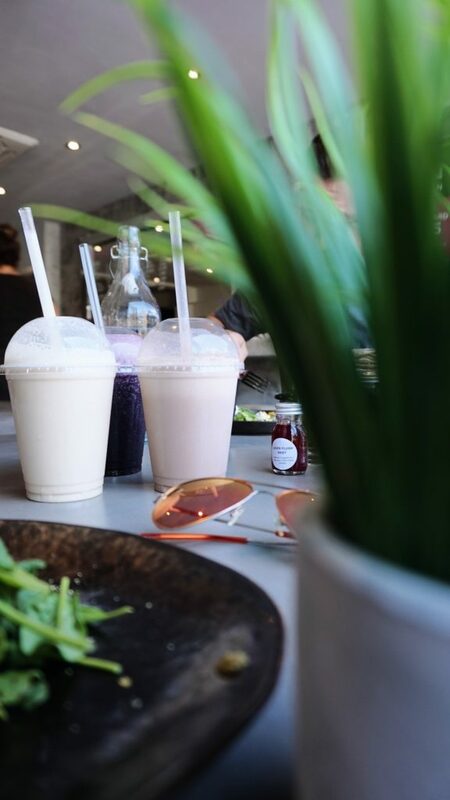 I think I was most impressed with the drinks menu, so much on there that I wanted to try – Turmeric Latte, clean hot chocolate, a smoothie with alkaline water and activated charcoal – I love trying new things. 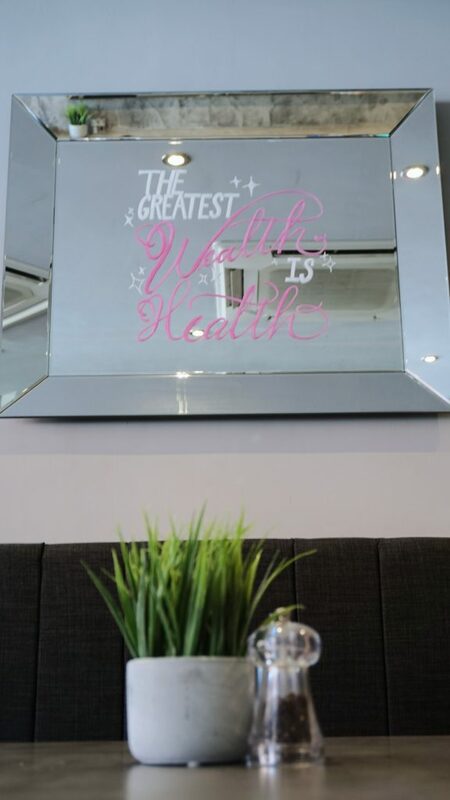 Overall, we were all very impressed with Neon Health Kitchen, which is surprising given how fussy we can all be. We all said that we would like to go back and we very often go for trips out to Wilmslow so chances are, we will actually return. It was a fabulous way to start the weekend made even better by the fact it was good, healthy food. When weekends hit it can be really tough to not pig out and end up eating junk food. 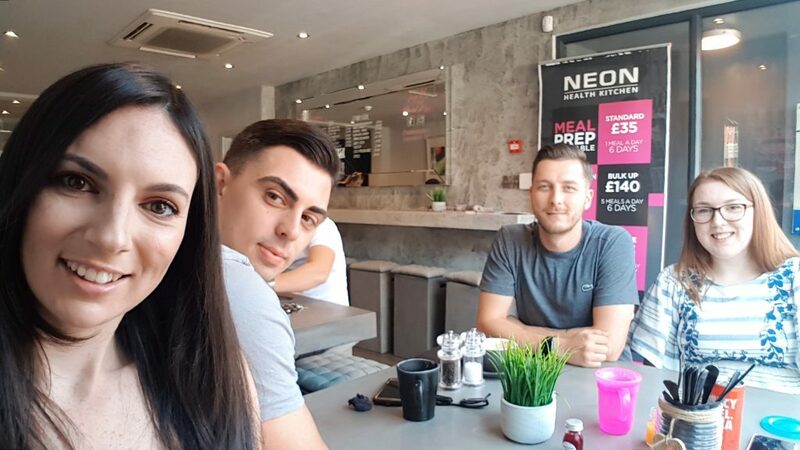 Neon Health Kitchen is the perfect way of getting the best of both worlds, going out for food and socialising whilst also eating a tasty, healthy and nutritionally balanced meal. We headed straight to Cheshire Oaks which is a nightmare at the best of times, never mind on a glorious day! 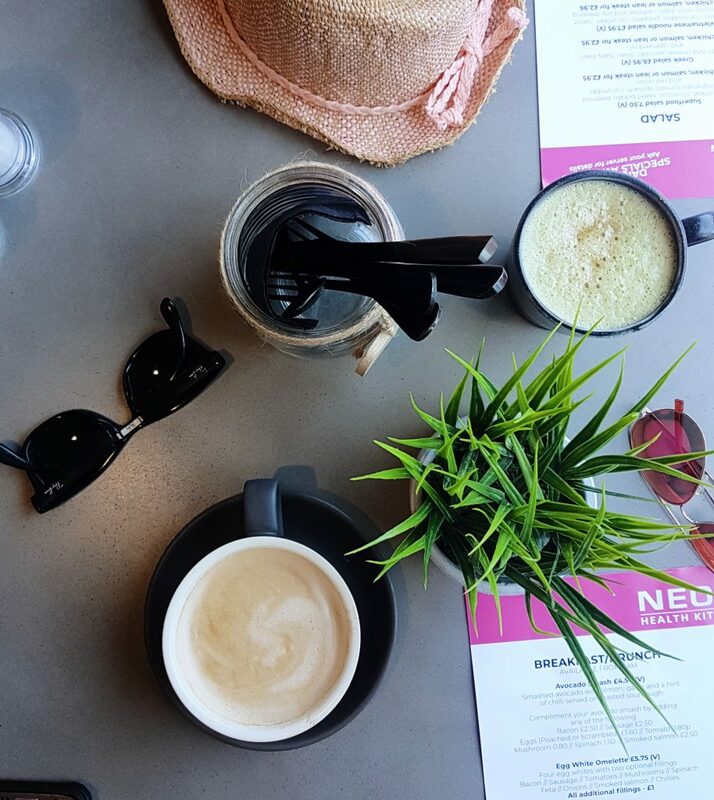 Thank goodness for Neon Health Kitchen for fueling us up to take on that challenge! 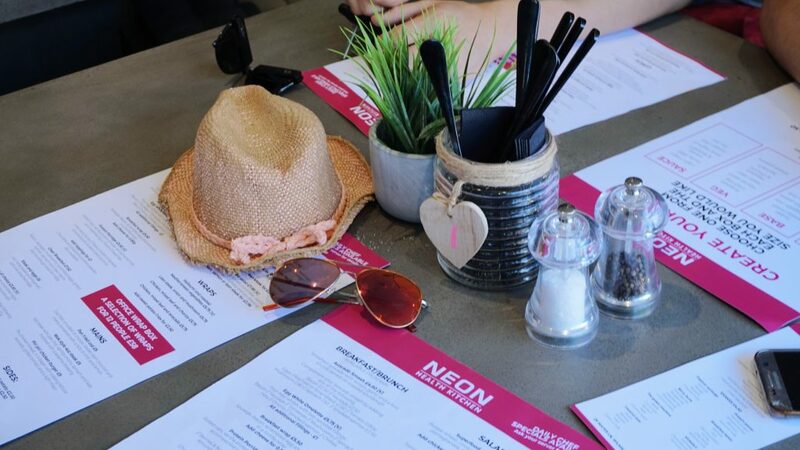 Thank you to Neon Health Kitchen for having us in to review the brunch menu! We loved it and will definitely be back for more! 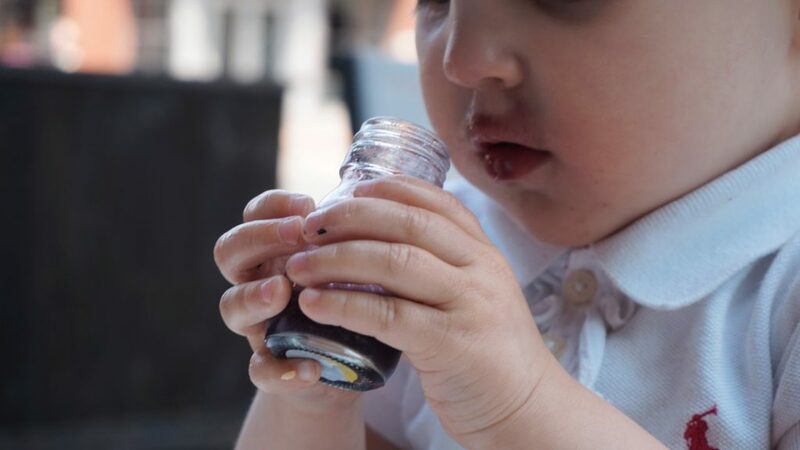 Disclaimer: Though we were invited for brunch, I was under no obligation to write this blog. I have done so of my own choosing, I was not paid nor told what to say. The words and pictures are all my own.